This incredible bag was specifically designed for digital DJs in the laptop arena. It can comfortably hold a laptop, LPs, interfaces (i.e. Serato, Torq, etc.) headphones, mics, needle cases, record cleaner and other digital essentials. Flap features zippered pockets, while the bag features two tall velcro pockets. Outside flap pockets are great for phones, PDAs, or quick access items. 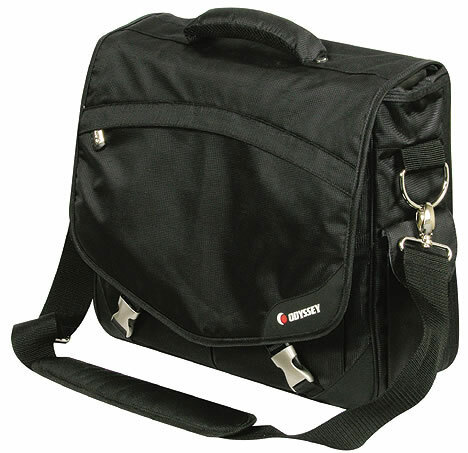 Get to your next gig in style - all in one bag!